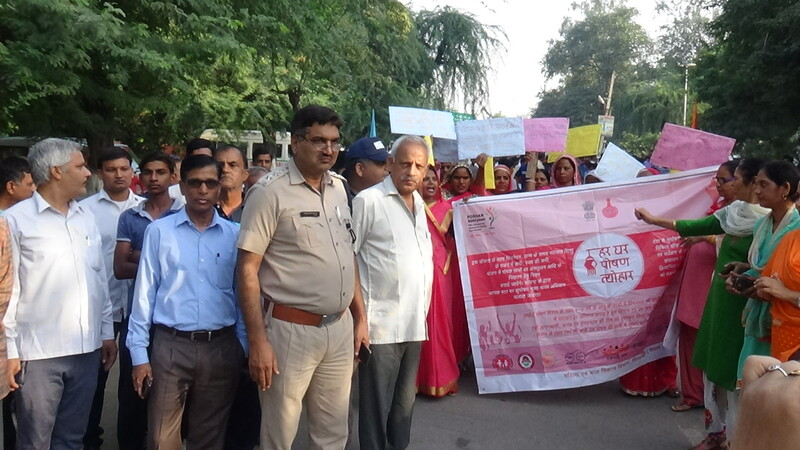 Nuh, 7th October: – DSP Nuh Virendra Singh said that such activities like Rahagiri are playing a meaningful role in connecting citizens, especially the youth with the spirit of HappyNews. This has led to a reduction in crime. They needed to promote the culture of laughing in society to eliminate crime and punishment. DSP Virendra Singh said that due to the slavery of the thousand years of the British and the Mughals, we did not have the laughing culture in India. People live in tension all the time and because of lack of warm relations with the police and the youth of the youth, the situation of confrontation arises. But we want to tell people that both the British and Mughal have gone away. Now there is no ban on laughing in the country, so let’s be a part of programs like Rahagiri and develop a culture of laughter. He told that those children who are not involved in sports do not have the importance of the game and awareness about it. Such children are encouraged to take up sports regularly by showing demos and participating in more sports in trajectories. This will help keep youth away from anti-social activities. He said that now people also need to explain that the one who comes to the meeting is not coming from chatting on Facebook and Watts-Up. He said that even today it is also necessary that the police do not see the youth with the view that they are going to commit crimes. Every young person belongs to our neighborhood, our street and our city. If we treat her like her child and behave friendly with her, then there is no reason why she contributes to the incidents of deception or crime in society. Das Virendra Singh and District Revenue Officer Basitir encouraged the players in other sports events, including Boxing, Junkop, Kabaddi, Gymnastics, in the Pathagiri program on Sunday morning. In addition, the Department of Women’s and Children’s Development Department also organized awareness program organized by the department under the Nutrition Month Campaign. On this occasion, District Social Welfare Officer Virendra Singh, Naib Tehsildar Sher Singh, including officials of Health Department, Red Cross and other departments participated.